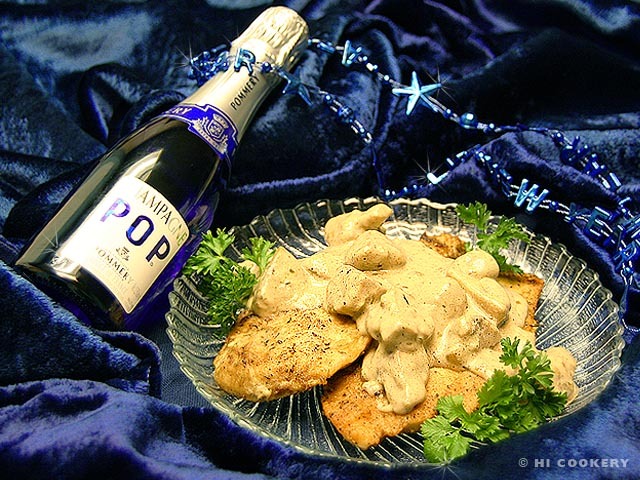 Bust out the bubbly and celebrate New Year’s Eve with champagne chicken! It is a rich and romantic dish to serve for an intimate candlelight dinner as we ring in the new year. If we are not spending this evening with family and friends, we simply cozy up as a couple in the comfort of our own home and eat something symbolic or special, such as champagne chicken. Then right before midnight, we change into our pajamas, watch television to see the crystal ball countdown in New York Times Square, kiss and quietly toast the end of another blessed year and pray for health, happiness and prosperity in the coming year. Highlander and Islander wish our blog readers and subscribers a Happy New Year’s Eve and Happy National Champagne Day! In a shallow dish, combine the flour, oregano, thyme, garlic powder, onion powder, salt and pepper. Dredge the chicken in this mixture, shaking off the excess flour. Heat the olive oil and melt the butter together in a skillet. 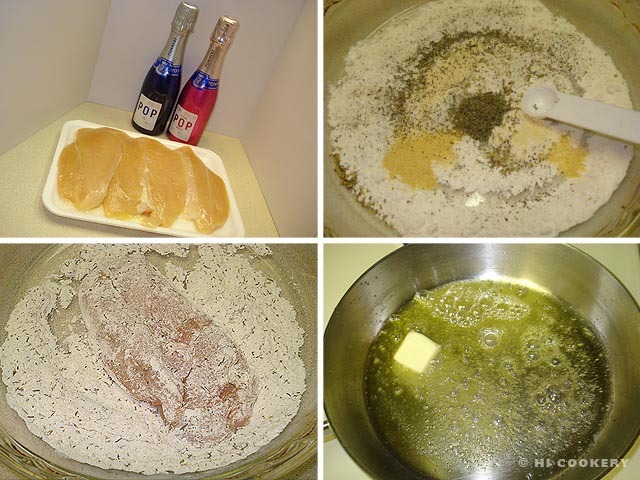 Fry the chicken until golden brown and cooked through. Drain on paper towels and keep warm. 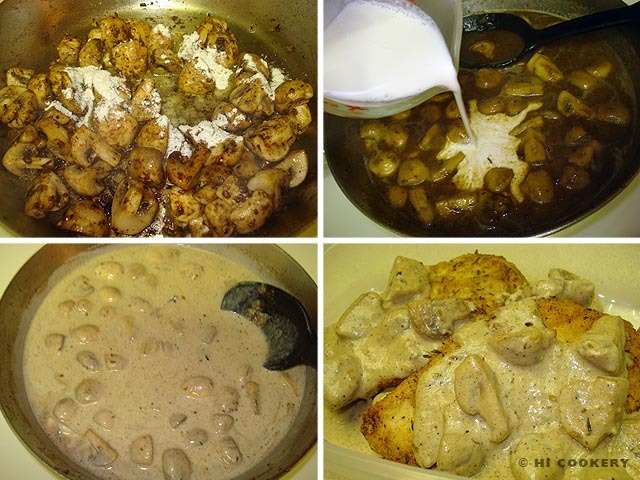 Prepare the champagne-mushroom cream gravy/sauce. In the same skillet, saute the shallots, scraping the brown bits on the bottom. Add the mushrooms and cook until softened. Mix in the flour, adding a drop of olive oil if necessary to avoid burning. Pour in the champagne and chicken stock. Simmer for about two minutes. Stir in the cream until the gravy/sauce is lightly colored and slightly thickened. Season with salt and pepper. When serving the chicken cutlets, pour the gravy/sauce over them while hot. A sparkling wine may be used as a substitute for the champagne. 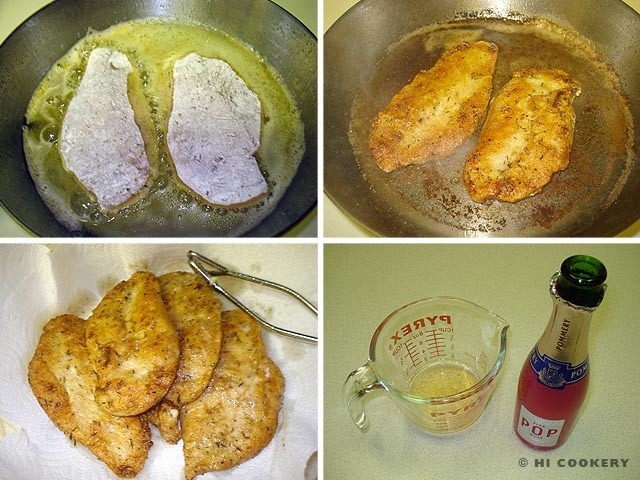 Champagne chicken is delicious over rice or pasta. Serve with a side of vegetables. Search our blog for additional recipes for new year’s festive foods, including those we traditionally eat on Hogmanay (Scottish new year) and the Asian lunar new year.